Music News Australia: COMEDY SUPERSTAR STEVE CARELL HEADS TO AUSTRALIA FOR THE AUSTRALIAN CELEBRITY PREMIERE OF DESPICABLE ME 2. 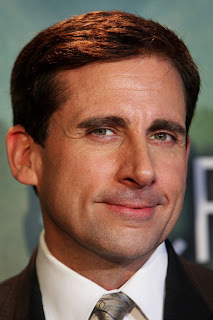 COMEDY SUPERSTAR STEVE CARELL HEADS TO AUSTRALIA FOR THE AUSTRALIAN CELEBRITY PREMIERE OF DESPICABLE ME 2. On June 5, comedic sensation Steve Carell (aka “Gru” – the world’s most loveable villain) will join his mischievous minions at the Australian Premiere of one of 2013’s most anticipated sequels – Despicable Me 2. Carell will be available for photo and press opportunities in Sydney from June 5-7. Universal Pictures and Illumination Entertainment’s worldwide blockbuster Despicable Me entertained audiences around the globe in 2010, grossing more than $540 million and becoming the world’s 9th highest grossing film of that year.